I’m grateful for the sounds and sights of the moose who choose to make their home in my neighborhood. May the people who live here be respectful of their habitat. Giving thanks during this time of sadness for Californians that we had relatively drama-free summer and fall, free of major wildfires. In keeping with the above, many thanks to the weather Gods who seemed to have brought us snow this fall, providing much needed moisture. I’m grateful for the peace and solitude that is my daily existence as I sit on my deck or walk the road near our home. I’m grateful to all the pet rescue groups in Colorado who take in dogs from other states that might otherwise be euthanized. So grateful to have one of those pups, Logan, in our lives. 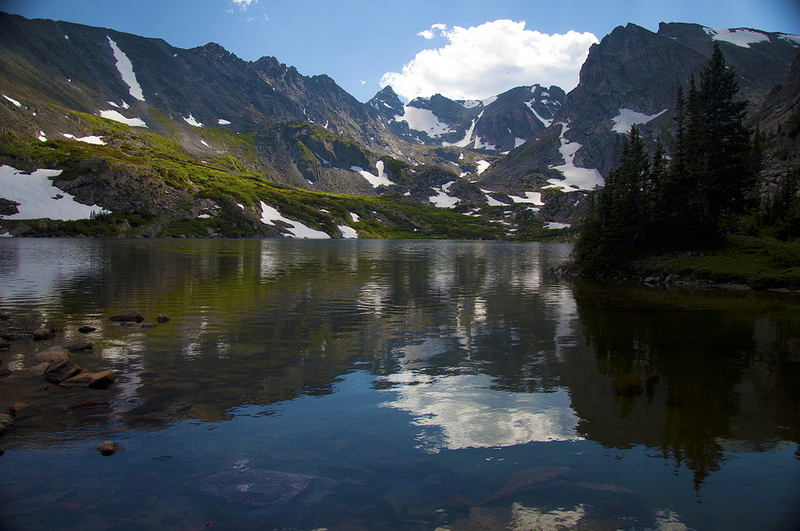 Feeling grateful for the acres and acres of wilderness that was set aside as part of the Wilderness Act, so that Coloradans and visitors can enjoy miles and miles of trails, forests, lakes, and peaks to gaze upon. How lucky am I to have an amazing wilderness neighboring one of the most iconic national parks? One of my favorite memories of this fall was taking my 70-year old father-in-law to see the elk rut in Rocky Mountain National Park. No matter how many times I see it, I still feel a sense of awe and wonder. In tandem with above, I’m equally grateful to miners, for creating the many scenic byways that traverse our most beautiful alpine landscapes. Grateful to our local newspaper, The Mountain-Ear, for continuing to persevere and keep us locals apprised of interesting stories and events around Nederland. I’m so happy to live in a state that has 25 ski resorts to provide enticement to get outside on the coldest and snowiest of days. Grateful to RTD for providing bus service between Nederland and Boulder, which means I am able to not drive to work for the first time in many years. I feel so lucky to volunteer my time with some wonderful organizations in this are this past year: The Indian Peaks Wilderness Alliance who allows me the privilege of patrolling the trails of the wilderness. The Boulder Humane Society for entrusting me with caring for 4-legged companions. And the U.S. Forest Service for issuing wilderness permits. I can honestly say I feel like I received so much more than I gave. Mostly I’m grateful to all of you who read this blog, provide comments to me, as well as share your own stories.